Regardless of your vision of the product and your confidence in its greatness, the future of it depends on how useful it is for people. Thus, beta testing stage often becomes developers’ heartbreaker. It is when creators may realize that despite the beauty and innovative idea of the product, it is barely usable for an average customer. 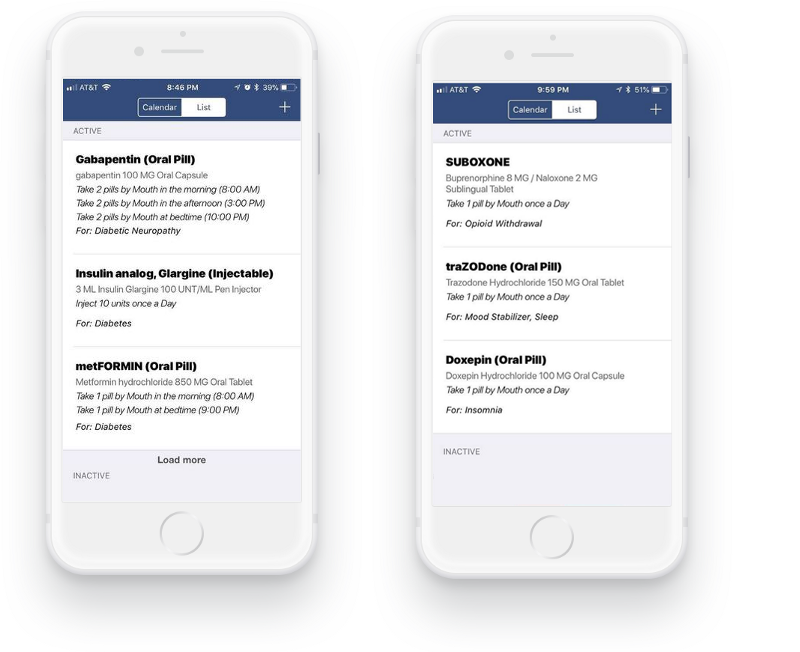 So, we were pretty anxious about the feedback when our product MedManage, a mobile health app for managing medications, had entered beta testing. What we had missed is a good way to visually display this data as outputs to our users. Our code simply took the inputs and arranged them into a sentence (e.g. ‘Take ___ pill(s) by mouth’) to be displayed under directions. Now, this seemed to be below par of what was needed, so much so that it could be mistaken for an improper or inadequate function to our most important and informed end users, the healthcare professionals. When this proved to not be enough, I scoured the internet. It seemed like there should be some standardised way to display medication directions on prescription labels, right? 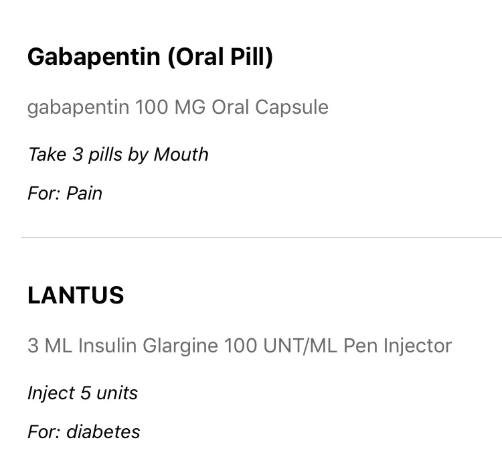 Unfortunately, there wasn’t and a prescription label design varied based on the design of the pharmacy software systems. 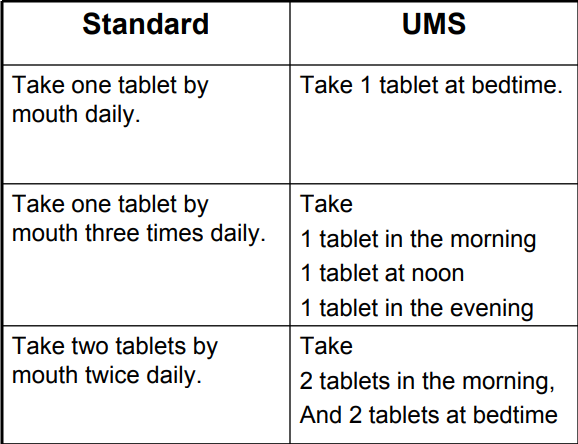 Most aren’t willing or have no reason to explain the logic in their software, but luckily I was able to find one source put out by the National Council for Prescription Drug Programs (NCPDP) outline a still experimental Universal Medication Schedule or UMS. Somebody at the NCPDP had the same thought as me; there should be a standardised way to display medication directions. While the trend had not taken off yet and wasn’t being utilised by major players in the pharmacy space, there was already about a decade of research on what a universal/standard medication label should look like. (If you take a look at your pill bottles, you will probably notice most are still structured like the left column above, not utilising the UMS). According to one of the studies outlined in the white-paper, 46% of patients misunderstood one or more of their Rx labels, but when using the improved UMS standard, that number dropped to 9%. This was a very significant increase, and the best part was that the study showed the “benefit [was] strongest with more complex regimens.” Since the goal of MedManage was to improve adherence and health outcomes, especially for patients with complex regimens, it seemed like I had stumbled on a gold mine of information and quickly instituted the changes which can be seen below. MedManage’s improved UI utilised the Universal Medication Schedule. Once we uploaded the changes to the test environment and distributed the updates to our testers, they were extremely happy with our result. Many cited it as not just an important fix but a major improvement to the current methods they use on a daily basis, and perhaps, more importantly, something our competitors don’t utilize yet. With this correction/update in place, we were ready to go live with a truly differentiated and research-backed project (that also flat out looked better). 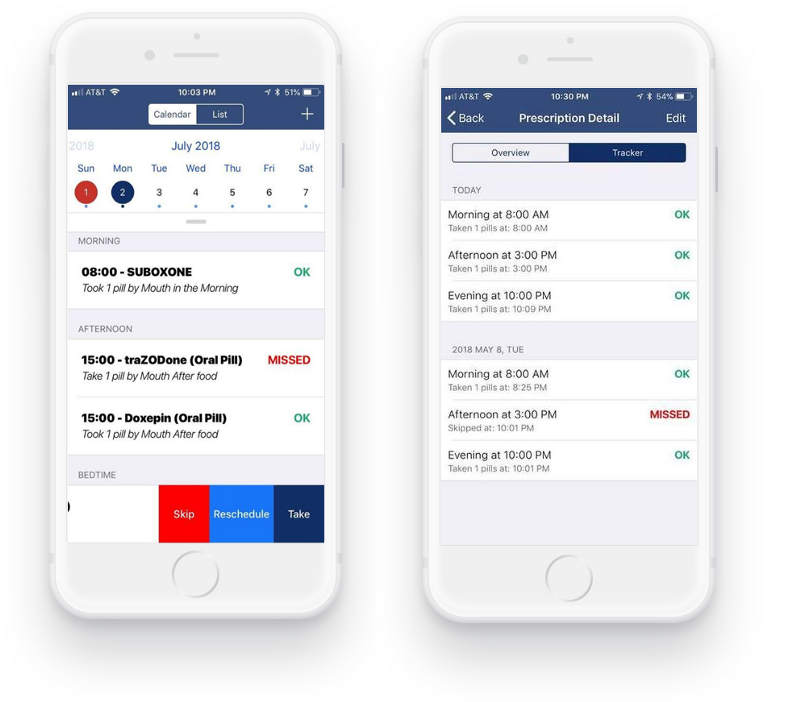 Now when people ask me what separates the MedManage app from other applications or products in the medication adherence space, I can clearly point to this specific advantage we bring and the years of research behind implementing this new methodology.